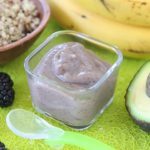 This is such a great brain booster and super energy charger recipe for your little ones!! 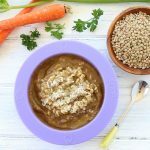 The recipe is recommended for babies starting from 9 months of age as we are using chickpeas that might be a bit too difficult to digest for a young baby. 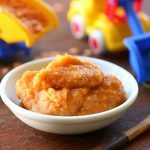 Chickpeas are a superb baby food. 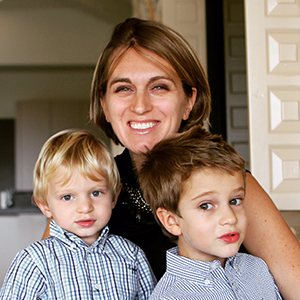 They can be introduced in your baby’s diet starting from 9 months of age. 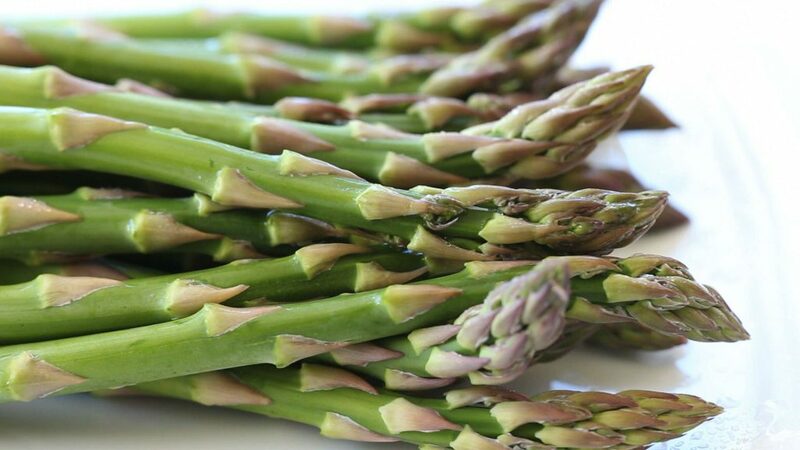 They are a lovely source of fiber and protein and zinc and manganese and folate and iron…not bad!! 2 tummy ache. 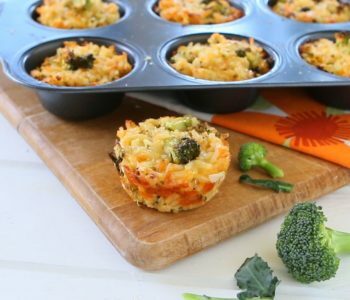 They are not super easy to digest as they are loaded with fiber. What can you do? 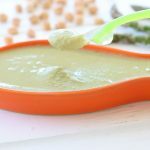 Well, first of all simply wait to introduce chickpea in your baby’s diet up until your baby’s digestive system will be more developed, at around 9 months of age. 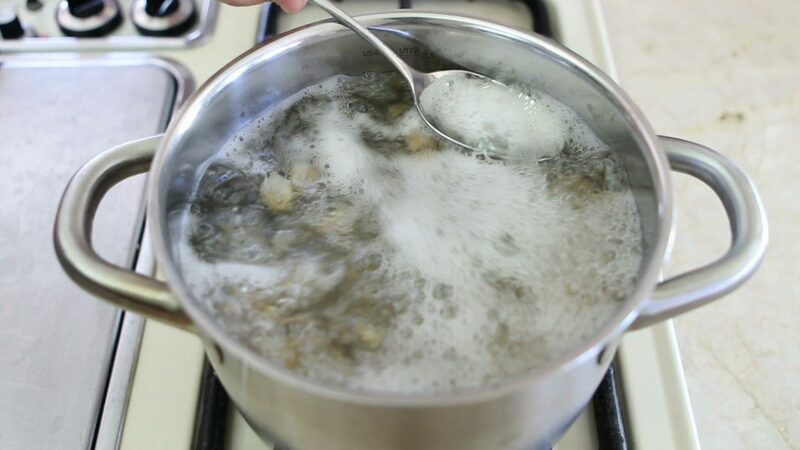 Also, to reduce the risk of gas and tummy ache there are few cooking tricks that you can use. 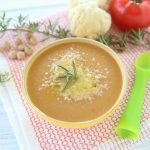 First of all, use dry chickpeas instead of canned ones. 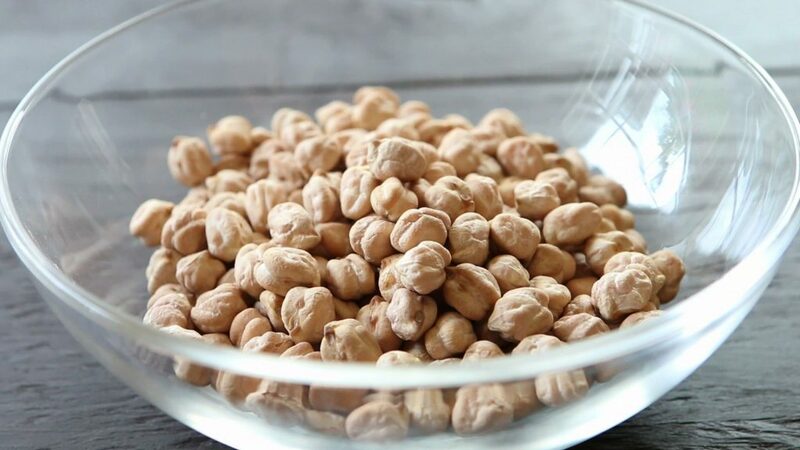 Yes, I know, organic + salt free canned chickpeas are so convenient, easy and fast to prepare: you simply open the can, rinse, puree..but if you want to minimize the gas/tummy ache side effect in your little one, soaking and cooking dried chickpeas is the way to go. It takes more time, but it’s worth. 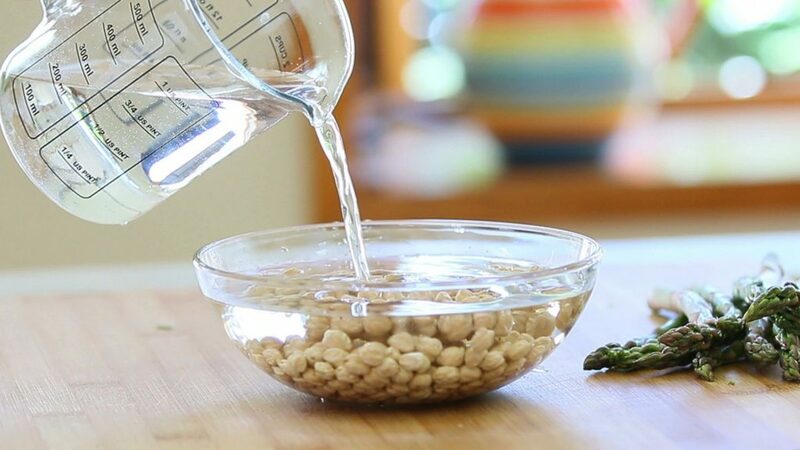 Soaking legumes overnight, changing frequently the water and than cooking them is the way to reduce their gassy side. I paired chickpeas with Mackerel fish, the Atlantic variety (the King and Spanish variety have higher levels of mercury). 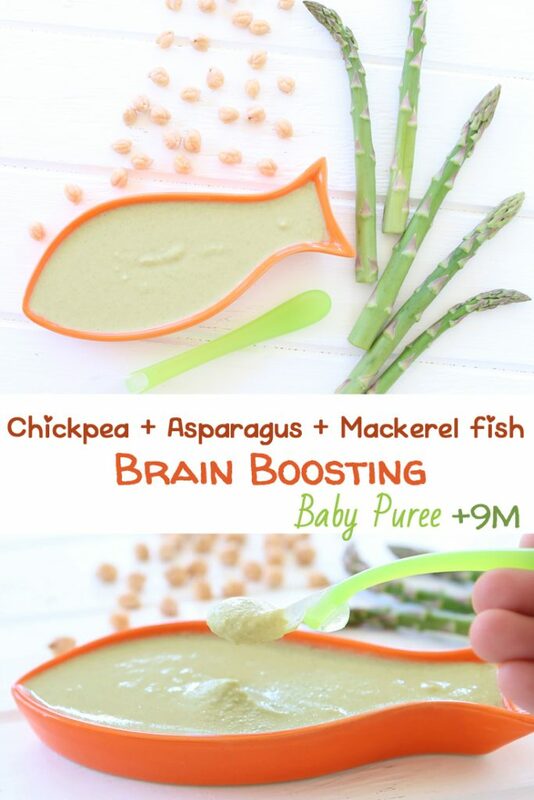 This fish is a wonderful Omega 3 fatty acids source = fuel for your baby’s brain. 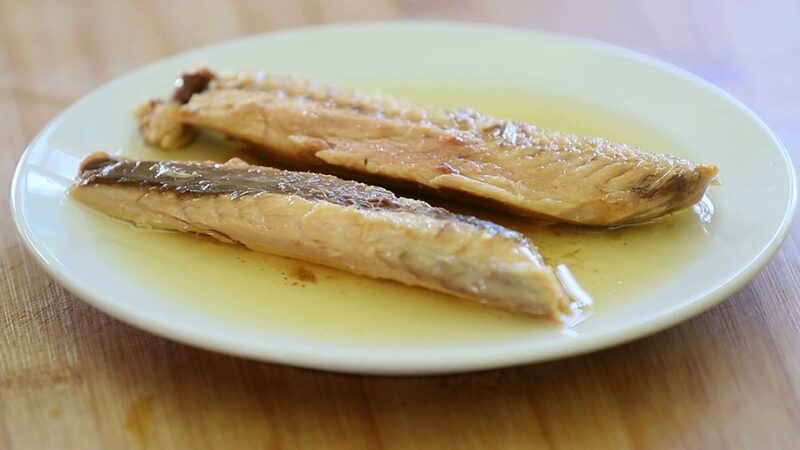 The healthy benefits of Mackerel fish for children are many: brain booster, cardio-protector, straightens bones and teeth. 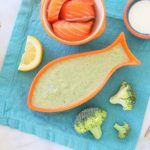 I would definitely suggest to add Mackerel in your baby/toddler/kid diet but with moderation. 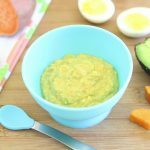 You want to be careful that your baby is not consuming too much mercury but also he/she is getting a healthy amount of DHA. Mackerel, like tuna, swordfish and other big fishes contains mercury: you always want to keep the mercury levels under control. I would say once a week is a frequency that will not cause any side effect. 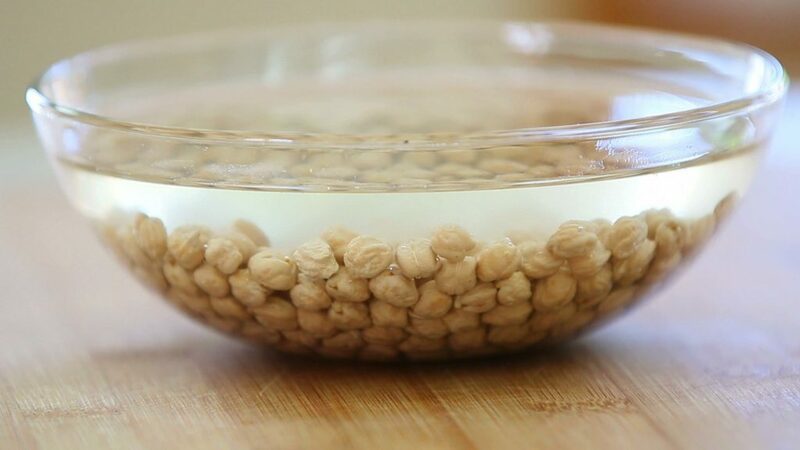 Start the night before simply soaking the chickpeas in water and let them soak overnight. 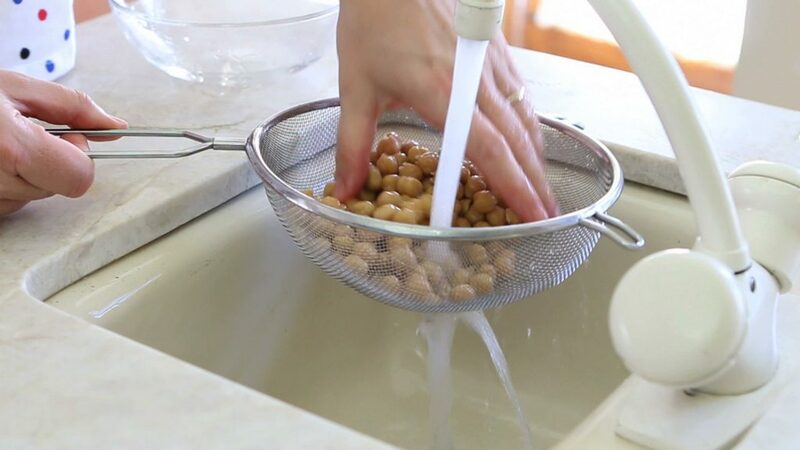 In the morning rinse them under running water, fill again the bowl with water and let them soak for another hour or two. Rinse them. Boil them in water following the packaging directions, usually it takes 60minutes. 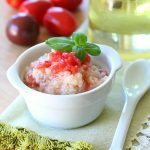 Remove the white foam that will form while boiling the chickpeas: this trick will reduce furthermore the gas/tummy ache side effect. Drain and set apart. 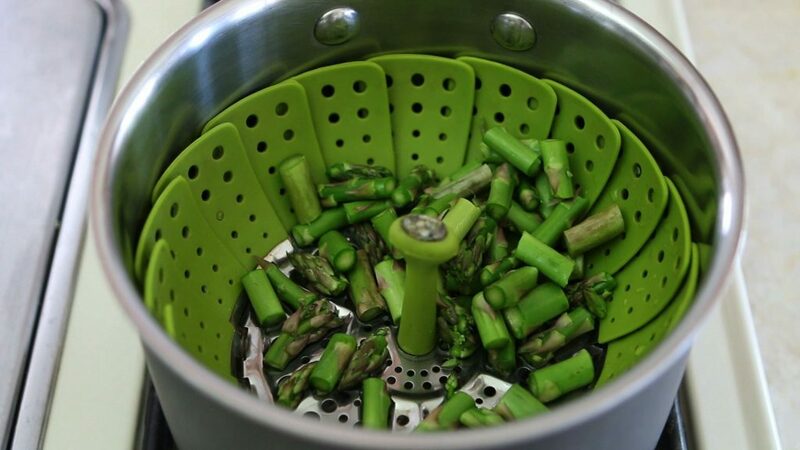 Wash the asparagus, chop them in small pieces and steam them for 5 minutes. 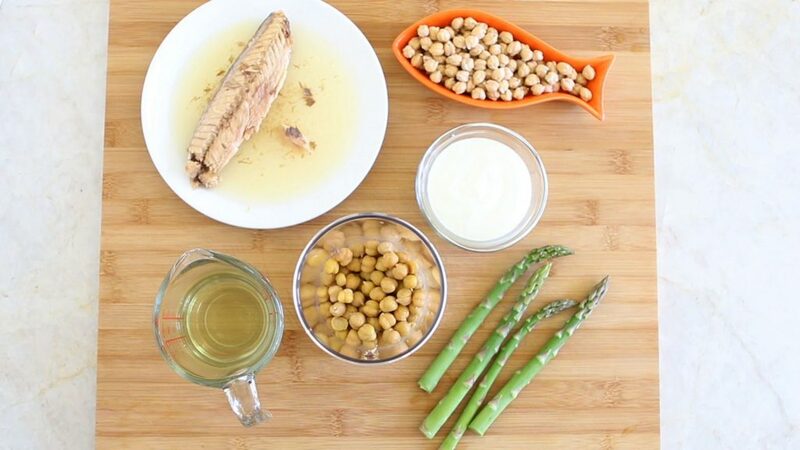 Using a food processor or a tall container and an immersion blender, simply add all the ingredients: 1/2 cup cooked chickpeas + 1/2 Mackerel fillet + 10 asparagus + 1 Tbsp plain yogurt. Blend up until smooth. 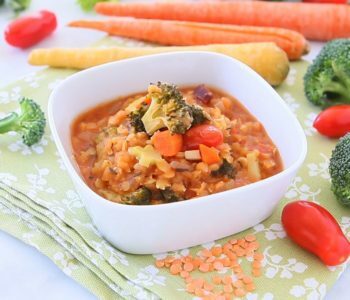 For a more liquid consistency simply add some tablespoon of the thinning liquid of your choice (breastmilk, baby formula, the steaming water left from the asparagus, vegetable broth..). 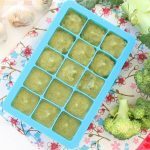 If you are interested in more information about how to thin your baby food, check this post too. 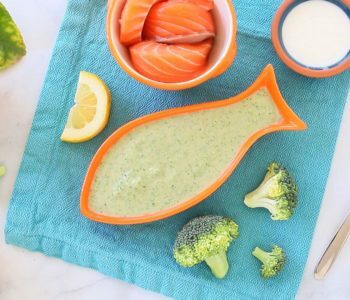 Serve your Mackerel Chickpea Asparagus puree to your little one and store the remaining quantity in the refrigerator for up to 1 day or in the freezer for up to 2/3 months. Also, you can substitute Mackerel with other fishes rich in Omega 3 for the same brain boosting effect: salmon, sardines, herring, kippers, anchovies. 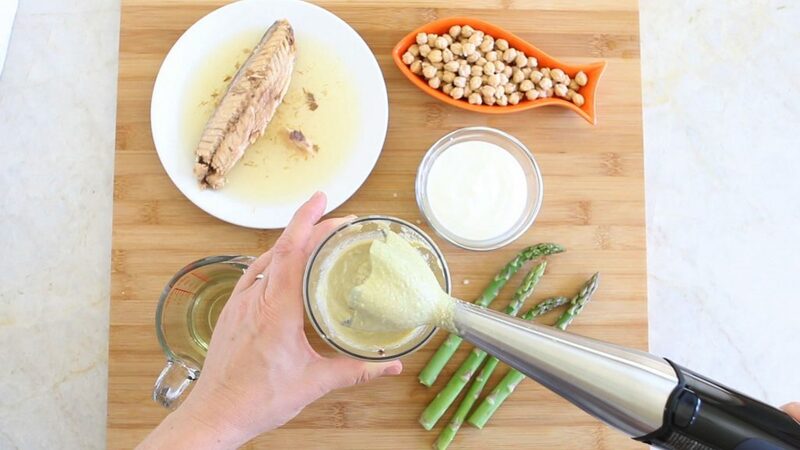 In a food processor or a tall container using an immersion blender add all the ingredients: steamed asparagus, cooked chickpeas, Mackerel fish, yogurt.